We’d love your help. Let us know what’s wrong with this preview of ADHD by Nico J. Genes. This is a true story about friendship, understanding, and accepting Do you have a child, a close friend, or a relative with ADHD? Do you have ADHD and always feel marginalized? Do you think “ADHD” as a term is often wrongly used? 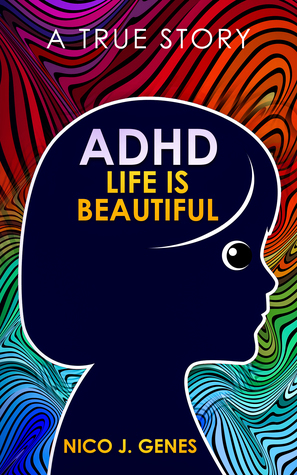 Do you think that ADD/ADHD is just an excuse for bad behavior? If your answer is “yes” to any of these questions, you are invited to come along. This is a true story about friendship, understanding, and accepting our differences. You can relate, understand, and reflect upon these ideas through my experiences with my friend and her son (from ages 6 to 11), who was diagnosed with ADHD. You can find comfort through seeing that you are not alone. Many things aren’t simply black or white. Every person is complex. Are our environments and life situations our own fault? We can’t choose our parents, and we can’t pick what genes we inherit, but we can control how we behave and treat other people. To ask other readers questions about ADHD, please sign up. With her first two novels, Magnetic Reverie and Reverie Girl, she broke the ice into writing successfully. From her readers’ feedback and reviews, Nico can proudly say she Nico J. Genes has traveled and worked with many interesting and unique people of different nationalities, religions, and sexual orientations, all of whom helped her to understand diversity and to accept everyone just as they are.